Norsonic’s range of microphones covers most applications and can be used as direct replacement with other brands. 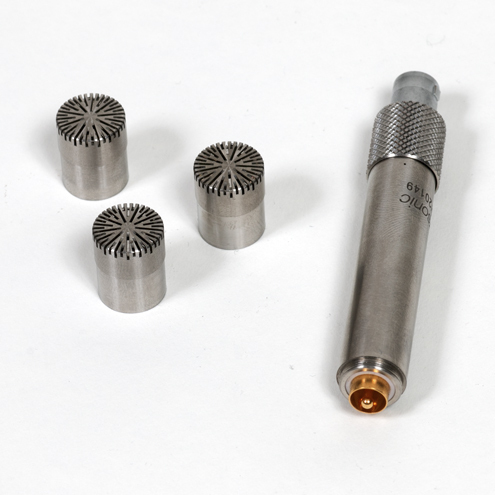 Full use has been made of modern materials which, when coupled with traditional engineering skills, produces microphones that meet all the requirements of the precision measurement standards, yet are robust and resistant to corrosion. 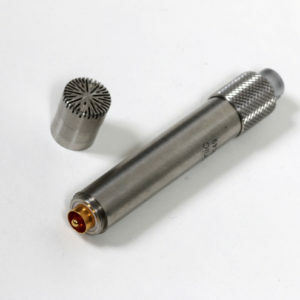 These microphones are used in conjunction with the Norsonic range of preamplifiers that closely couple to them and ensure perfect matching to the associated instrument with minimum disturbance to the acoustic field. The preamplifiers have the necessary signal handling capability and low self-noise to allow full use to be made of the wide dynamic range of the microphones. More information can be viewed by downloading the Norsonic Microphone Selection Chart. ¼” Microphone Preamplifier with insert voltage calibration and LEMO connector.This preamplifier is designed for calibration purposes using the insert voltage technique. The insert voltage technique is used for determine the open circuit voltage of a microphone cartridge. The Nor1207 is a low cost, general-purpose ICP®-preamplifier for 1/2” working standard pre-polarized condenser microphones, designed for the most demanding use. It features a new design technology that increase the dynamic range to a value normally featured by traditional powered preamplifiers only. It is the first pattern evaluated ICP® preamplifier on the market, ensuring a high quality of the measurement in every environmental condition as specified in the class 1 requirements given in IEC-61672. Apply a male TNC-connector for connection to cable or instrument, while Nor1207/BNC comes with a BNC female connector. Norsonic offers a broad range of microphone solutions for permanent and semi-permanent installations. The Nor1216, Nor1217 and Nor1218 are the new generation of outdoor microphones from Norsonic. The Nor1216 is a measurement microphone for all-weather conditions designed for use with the Nor140/Nor150. It features SysCheck verification and a heated preamplifier. It is intended for permanent outdoor applications. A semi-permanent version of the Nor1216 is the Nor1217 which features the same weather protection and SysCheck, but is designed for use with the standard preamplifier and microphone supplied with the Sound Analyser Nor140 and Nor150, making the Nor1217 in combination with the Nor140/Nor150 a very cost-effective solution. The Nor1218 is an IEPE outdoor microphone for semi-permanent installations. Directly powered and supported by Nor131 or Nor139. Using the microphone and preamplifier supplied with Nor131 or Nor139 makes the Nor1218 a cost-effective solution.